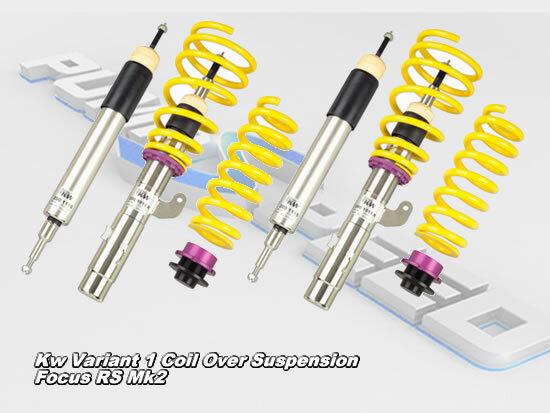 Fantastic Value full specification Ford Focus RS mk2 coil over suspension by the Masters at KW. The Pumaspeed Workshop team are ready to fit the KW Variant 1 Coil Over Suspension kit - Focus RS Mk2 in our Head Office located here. Pumaspeed have a specialist distribution team that can dispatch the KW Variant 1 Coil Over Suspension kit - Focus RS Mk2 to any destination worldwide.